Our 'Newsongs For Kids - God Suit On' features 12 inspiring and excellent songs bursting with faith and enthusiasm. 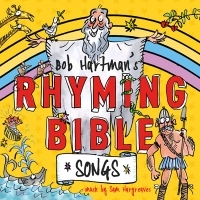 We have also just released Bob Hartman's Rhyming Bible CD with 10 songs as a companion to his Rhyming Bible Book. A brilliant and fun way to learn and enjoy stories from the Bible.